A new state law, Public Act 369 of 2018 requires certain employers provide certain employees with paid medical leave benefits beginning on March 29, 2019. Let’s break down who is impacted and what the requirements are. Which employers have to provide benefits under the new law? Employers who pay payroll taxes on 50 or more employees must provide eligible employees with paid medical leave benefits. 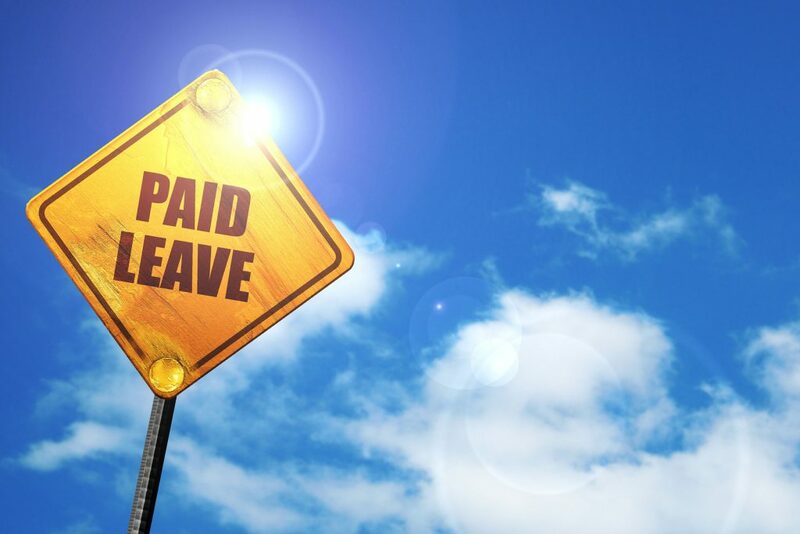 Employees on paid or unpaid leave are included towards the 50-employee threshold. Which employees are eligible for benefits? Even if an employer is required to provide benefits under the law, not all employees are eligible to receive them under the act. Seasonal workers (employed for a job scheduled for 25 weeks or fewer), part time workers (who worked fewer than 25 hours week on average the preceding calendar year), and variable hour workers (the term variable hour workers is not well defined and has a complicated federal threshold to meet) are exempt. Employees with a current labor contract will become eligible once the contract expires. Employers are recommended to track employee hours and schedules carefully to determine whether or not they are eligible for benefits. I already offer paid leave, do I need to change my policies to comply? Not necessarily, if an employer offers a minimum of 40 hours paid leave time to employees in the form of paid vacation time, paid personal time, or paid sick time that employer is presumed to meet the new requirements of the act. If the total amount of paid leave is less than 40 hours, those policies would not be compliant with the act. What kind of benefits do eligible employees receive? Eligible employees may use 40 hours of paid medical leave each year. Employees must use paid medical leave in one-hour increments unless otherwise agreed to by the employer. The act defines a benefit year as any 12–month period used by an employer to calculate an eligible employee’s benefits. When do employees become eligible to use their benefits and how are they accrued? Eligible employees earn one hour leave for every 35 hours worked. Accrual begins immediately and can be used after 90 days. An employer is not required to allow an eligible employee to earn more than one hour of sick time in a calendar week regardless of the number of total hours that employee worked. Employees may roll over unused hours into a new year but are not entitled to use more than 40 hours during the year. An employer who chooses to provide all 40 hours of paid leave at the beginning of the year rather than as it is accrued does not have to allow hours to roll over. For what reasons can an employee use paid sick time? An eligible employee may use paid medical leave for diagnosis, care or treatment of a mental or physical illness, injury, health condition or for preventative medical care for the employee or an employee’s family member (spouse, children, parents, grandparent, grandchild, or siblings related through biological, adopted, foster, or legal status). It may also be used if the employee or employee’s family member is a victim of domestic violence or sexual assault. In addition, it may be used if a workplace or school is closed due to a public health emergency. What kind of notice can employers require? Employers can require employees to comply with the employer’s usual and customary notice, procedural and documentation requirements for requesting leave. Employers must give employees at least three days to provide the required documentation. An employer may discipline or discharge an employee for failing to comply with the employer’s notice requirements. What kind of documentation do employers need to keep and for how long? Employers must keep records documenting hours worked and paid medical leave taken by employees for at least one year. Those records must be made available for inspection upon request by the Michigan Department of Licensing and Regulatory Affairs. Employers must also display a poster, created and provided by the department, explaining the new law.